My Top Book Reads — This Is Carrt. Recently, I've had a number of friends and readers ask me what I'm reading and if I had any fab book recommendations. I'm not always that great at reading the latest 'it' book as I just feel there are so many old greats out there that I have not even come close to touching. However, I thought it would make for a great blog post and so I have written down books that I couldn't put down, books that made me laugh, books that made me cry and once in a while, books that changed my outlook on life. 1) Us, David Nicholls. I have to admit, I started reading this book out of sheer first world necessity. I was on holiday and my kindle had run out of battery and this book, in my mind, was the best choice on book shelf at the villa I was staying. I've read many of Nicholls's books before and had really only enjoyed the famous "One Day". As such, when this book made me turn down drinks and food just so I could keep reading, I was more than pleasantly surprised. It's funny, endearing and a bit of a tear jerker in parts as it chronicles a man's relationship with his wife and son. It is a wonderfully good yet easy read that should make it into any beach bag if it hasn't already. 2) The Lacuna, Barbara Kingsolver. Having read the Poisonwood Bible, a book worm of a friend of mine recommended I read this. I couldn't put it down. I read it whilst on holiday in Southern Spain and would often find myself so engrossed in its pages, I would realise far too late that I had subjected my body to some seriously quirky tan lines. Telling the story of a man born in the States but raised in Mexico, Kingsolver inserts him into the rich art history of both lands in the run up to the Second World War. 3) A Little Life, Hanya Yanagihara. If you ever need a jolt from an outside source telling you that your life really ain't that bad, this is the book for you. It is deeply moving, tragic and devastating in parts. Equally, however, the book is also uplifting whilst it narrates the story of the much troubled Jude, a brilliant lawyer, and his relationships with an ever increasing circle of friends and family. Whilst it is incredibly long and harrowing at times, it is hard to put down, and even harder to forget. It took me weeks to be able to read anything else when I had finished this. 4) Cutting for Stone, Abraham Verghese. Another book that I found difficult to move on from was this story of twins born illigemately with a nun for a mother and an English doctor father who abandons them. With language that envelops the reader in the world of once conjoined twins, this book is hard to put down and incredibly moving. 5) Pride and Prejudice, Jane Austen. My desert island book is this classic that I have read upwards of 15 times. A love story between a headstrong Elizabeth Bennet and the rich Mr Darcy, Austen explores, through tongue in cheek narrative at times, the pressures of society on both women and men. 6) Thorn Birds, Colleen McCullogh. This book may well betray the true extent of my romantic sensibilities and how I can be lured into loving most stories as long as they are what my mother would call 'a good yarn'. A true saga, this novel, set in Australia, documents the life of young Meggie Clearly and her family. Bordering on salacious at times, this book still manages to wrap the reader up in the goings on in this family, its huge farm in the outback and their dealings with the Father Ralph. 7) The Remains of the Day, Kazuo Ishiguro. Whilst brain storming for this blog post, I wrote down several of Kazuo Ishiguro's books as ones that I would recommend. I can't believe that he is possible of writing a bad one. The Remains of the Day made it on to my list here though for its restrained tone whilst dealing with the huge political forces at play in the run up to the Second World War. All the while, this massive backdrop frames the book's understated love story between the protagonist, Mr Stevens, and the object of his affections Miss Kenton. 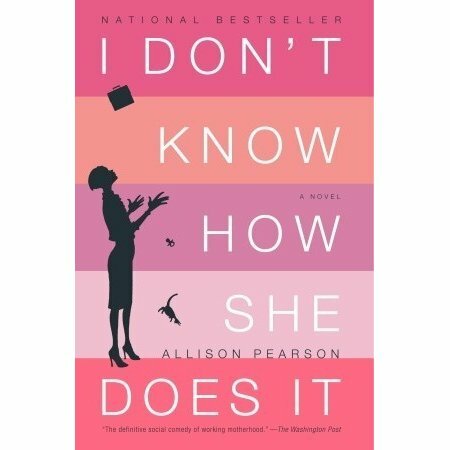 8) I Don't Know How She Does It, Allison Pearson. Following the life of Kate Reddy, I found this book refreshing in its honesty about how women still try to be all things to all people. Kate is a successful fund manager in the city, but we see her juggling, not always successfully, the perils of being a modern working mother with two children. Whilst a funny story in the main, the book does make one seriously question whether having both a happy family life and a successful career is ever possible. Sign up to our weekly newsletter to stay in the know about the finer things in life! 9) Bridget Jones's Diary, Helen Fielding. Looking back on what is now clearly the classic chick lit book, this novel was quite groundbreaking in how open it was about what women in their 20s can get up to. Granted there are swathes of moments that poor Bridget moves from the sublime to the ridiculous, but really she was only voicing what a great deal of women feel in this decade of their lives. Laugh out loud funny at times, incredibly humorous throughout, this easy to read book will make you smile from ear to ear for all its 300 odd pages. 10) The Kite Runner, Khaled Hossini. This is the only fiction book that my husband has ever read...and enjoyed. This should speak volumes for just how much this story of a boy called Amir and his friend Hassan in 1970s Afghanistan pulls at your heart strings. I'd love to know what other great reads my audience love - just leave a comment below!